"The future of affiliate marketing requires people to work together in a more transparent and partnership-oriented fashion, not opaquely and against one another’s interests." 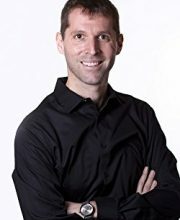 Author and veteran performance marketing thought leader, Robert Glazer of Acceleration Partners, provides a comprehensive history and best approaches to affiliate marketing in Performance Partnerships: The Checkered Past, Changing Present and Exciting Future of Affiliate Marketing. The surprising rate we have incorporated digital is astounding—and the development of digital relationships is continuously evolving. Glazer covers various generations of affiliate marketing and how each has delivered on the evolution of the digital business-to-business (B2B) relationships. Performance Partnerships begins with the basic definitions and players involved. In each of the three generations, Glazer dives deep into the history, issues and lessons learned, which provides a useful context in understanding how each generation has evolved. These lessons become useful not only in affiliate marketing, but in how an organization can evolve their relationship managment regardless of the tactic or technology. Regardless of whether you’re just beginning your career or are an experienced veteran, Glazer does a wonderful job of reminding us of the importance of trust and building mutually beneficial relationships through the lens of affiliate marketing. I’ve been kept abreast of the affiliate world through marketing technology and this book helped me develop a more complete view and understanding. "The best sites, however, are not driven purely by the desire for financial reward. They are authentic and earn a loyal following through their trustworthiness." Throughout the book, Glazer emphasizes the importance of transparency in establishing a mutually beneficial relationship. A performance-based marketing mindset is the best approach to create and nurture win-win partnerships. In earlier generations, the lack of transparency plagued affiliate marketing efforts over time by breeding poor practices and fraud. Glazer cites examples where marketers were simply maximizing revenue before a loophole was closed. Fast forward to the latest generation. More controls, better practices, improved brand alignment, and genuine relationships are now driving business in affiliate marketing and performance-based partnerships. There must be a CPA element — Connecting behavior with results provides tracking which can be properly managed. Transparency is essential — Without transparency, there is no trust. All relationships are based on trust. There is a real relationship — Seeing affiliates as partners breeds a different mindset and relationship. A real-time tracking and payment platform — Improved and streamlined operations ensures the complexities and transparency needed for performance partnerships can be realized. Attribution is critical. Glazer states that, like marketing, it’s an art and a science to determine the proportional credit for a sale and to reward each channel appropriately. For those who have a complex network with many stakeholders, it’s also worth investing in major audits, not only to ensure that business goals are met, but also to uncover possible opportunities or understanding of performance partners that require more attention. Having the right (and sometimes difficult) conversations will signal to everyone the expectations of transparency, but also set the stage to double down on good to great relationships. In the dawn of the third generation, Brian Marcus shared some insights with Glazer where he felt that Google shutting down its affiliate network (GAN) was the moment that “drove the SaaS [software as a service] revolution”. Key players set an example that change was not as bad as initially thought. For those who made the leap, those in the marketplace gained a near immediate competitive advantage. In addition, those who sought external guidance were able to optimize their operations to a greater extent to improve the quality of their relationships and increase margins for all. Big growth opportunities in affiliate marketing comes with recognizing and investing in changes that make the overall industry. Being behind the curve can have opportunity costs, but will decimate your brand and the genuine performance partnerships you have developed. For instance, review your incoming leads from partners and determine how many actually drive sales. This type of scrutiny connects activity to actual revenue performance. Adopting a SaaS model coupled with deeper metrics has yielded better operational performance and encourages publishers to deliver greater overall quality content. According to Glazer, the healthiest marketplaces monetize based on value delivered. There are few other places more challenging and rewarding than for a retailer in affiliate marketing. Glazer, who speaks at many conferences throughout the world, reveals that attendees can find peers who can share stories, case studies and insights in the world of affiliate marketing. Many professionals have also drawn from other operational aspects of marketing, including marketing operations, B2B partner marketing and ad operations. There are many instances where merchants are making the same mistakes due to a lack of coordination. They were not learning from one another. One consideration for future marketers is to not only coordinate the efforts but also to document the attempts and share lessons. We usually need reminding that building and maintaining relationships is complex. Staying current on both the technologies and tactics from fellow marketers, publishers and affiliates can help you create your own overall strategy based on goals and resources at your organization. Glazer’s Performance Partnerships delivers an eye-opening view of the affiliate marketing world. For those in or entering affiliate marketing, it serves as a great primer. For marketers not directly involved in the space, the book offers many examples of how marketing is changing and describes the negative impact on those who do not evolve. I appreciate the author’s optimistic view about the upcoming changes, but more importantly the resurgence of excitement about how the industry has come full circle—now without the noise. While many of us hail disruptive startups for their innovation, the traditional players in those industries opened the doors to those innovators by failing to listen and respect the relationship of their customers and partners. What part of your affiliate marketing can you improve to be more transparent or mutually beneficial with your partners?